Today we are pleased to announce our latest minor release, Redactor 1.5 which is packed full of bug fixes and improvements. We’ve updated redactor.js to include the many bug fixes and improvements made by the Imperavi team. Don't already have a license of Redactor for MODX? Treat yourself to a better editing experience today. Buy now. As we approach our thousandth download of our premium rich text editor, Redactor for MODX, I’m reminded of how much it has helped modmore grow in our first year. In a short period of time I’ve seen modmore grow from Mark and myself to a team of people that has expanded again and again. Your support has made this all possible, so we thought it would be nice to try and sneak a few of your top feature requests into our latest minor release. Here we go. Most notably we’ve enhanced Redactor’s compatibility with MODX Revolution 2.3 by incorporating a new sleek and more customizable user interface. Learn how to customize your own Redactor toolbars in our tutorial. One thing we heard is that you’d like to see the user experience with linking images improved. So, we’ve added typeahead support to the Link field in the Image Edit window. It’s pretty neat. Time is money right? That’s why you’ll be glad inserting links with Redactor just got even easier. Provided a URL to a JSON file, Redactor will append a select box to choose from your predefined URLs for quick editing. Use the widget below to create your own custom links JSON and you’ll be good to go. 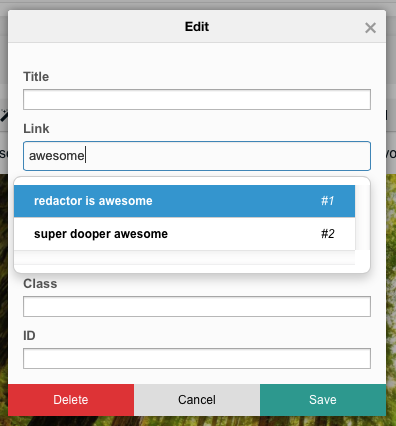 We even made a WYSIWYG Widget that will write your custom JSON for you. With the addition of the redactor.toolbarFixed setting you can now now instruct your Redactor toolbar to always remain within the browser window. It even works with multiple toolbars on one page. How clever is that? Computers can be distracting for anyone but with the all-new stress-free typewriting mode you’ll have nothing else to focus on but your own writer’s block. We’ve added a few more System Settings for you to add to your arsenal. We've also added a title field to the Advanced Attributes fields allow the title attribute of anchor links to be set without entering source mode. So that’s it for now. 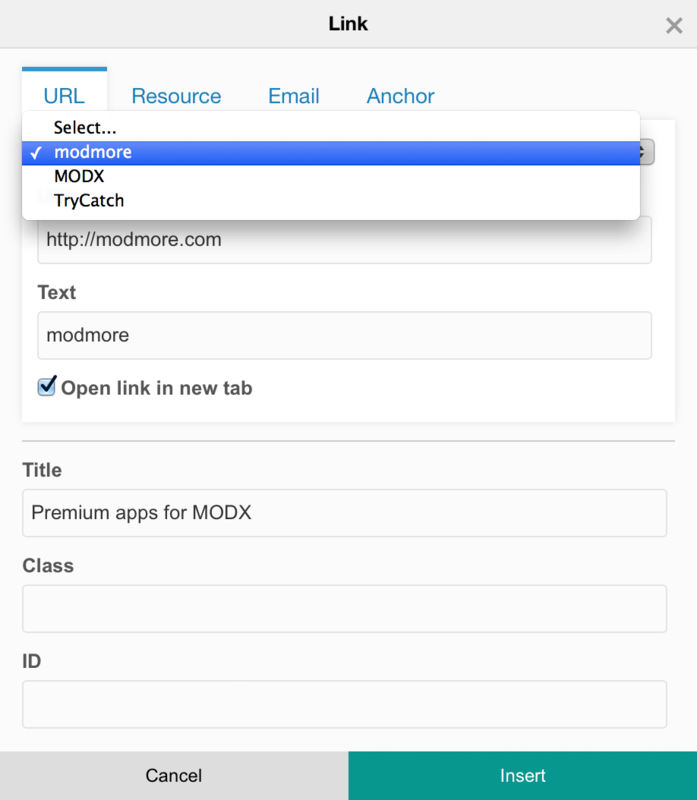 If you haven’t already, make sure to grab yourself the latest version of MODX and give Redactor a try. We’d love to hear what you think.